Launceston boss Jimmy Tucker says he is struggling to know what to say to his squad after their 40-0 loss at Barnes. The defeat was the club's 18th in 19 games and left them 28 points adrift at the bottom of National Two South. The club has yet to win a game all season, with the club's only positive result coming in a draw with Southend. 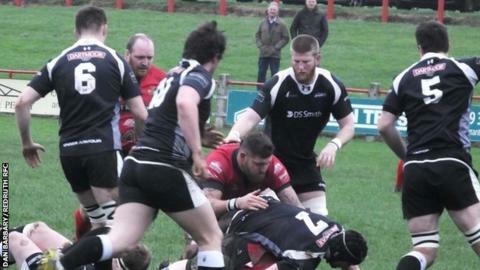 "We're so low on confidence and we're really struggling to get a victory, we've got to do whatever we can to pick the guys up," Tucker told BBC Cornwall. "It is difficult to know what to say, all I've said to them is that to appreciate the good times you've got to go through the bad times and we're having enough bad times at the moment that if and when the good times come they will be all the sweeter."